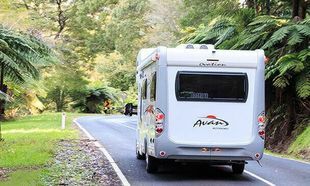 Avan’s super-strength ‘smooth panel construction’ delivers superior strength without weight, meaning better fuel economy when travelling. We incorporate our own specialized furniture construction in all our vans. Edge-banded timber construction delivers pleasing aesthetics plus durability for holidaying use. Expert craftsmanship and superior technology ensures the finest finish throughout. 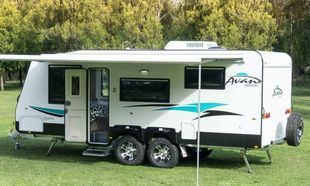 Versatile day/night configuration allows you to enjoy the greatest comfort in your own home on wheels. We have over 20 years of manufacturing experience in bonded panel construction. 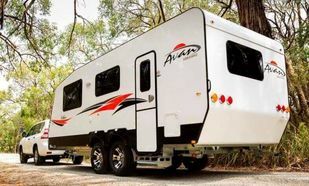 Our unique insulated sandwich panel side walls, with ply re-enforced aluminium outer skin, are built to withstand the rigors of travel and camping life. Our trademark sleek lines and smooth finish set the industry standard. Our construction process incorporates 2 x layered ply with styrene foam insulation and smooth pre-painted aluminium outer panels for ultimate styling and protection from harsh environments. Smooth pre-painted aluminium outer panels offer unique advantages over fibreglass, including: superior strength, lower weight per square metre, surface style, UV-resistance, aging resistance and low dirt-retention. 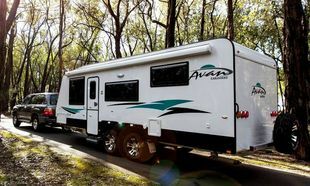 Unique to Avan, the Centurion Chassis offers superior support for your caravan. 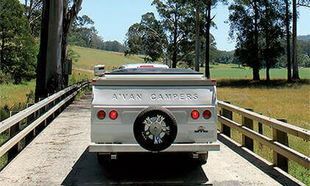 Hot dipped galvanized steel ensures that your Avan stays protected from corrosive elements that can fatigue other types of chassis. Intelligent engineering design maximizes strength and resistance to torsion and compression via pressed hole cross-members. Intelligent design also affords better protection to electrical wiring running underneath your van.